Showed it to the in-house critic - 'a bit in your face isn't it' was a observation - not the die cuts, it's the bright pink that made his teeth itch! :) I do think it would be really pretty in pale colours, or white and silver for example (and would work beautifully as a stencil I'm sure) - but wanted to show the die off properly so you could see all the detail, 'cos it's part of this week's prize of course! 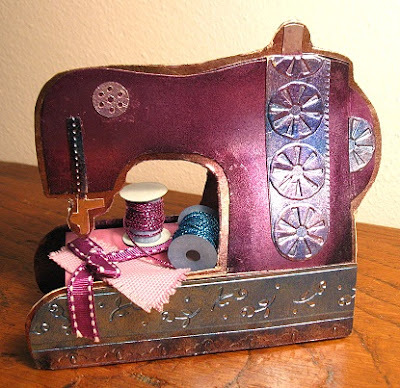 This sewing machine one of those snippets makes that stops you in your tracks - brought to show by Alice (ScrAPamondo) - and absolutely stunning with so much detail! There's even a little drawer at one end. It never ceases to amaze me how ingenious and inventive you girls are! Our Sam (aka Hettie) made this wonderful box card for her parents' Diamond Wedding Anniversary. What a totally sparkly and fabulous creation - I LOVE it. Such a lovely idea to incorporate photos of their actual Wedding Day too! 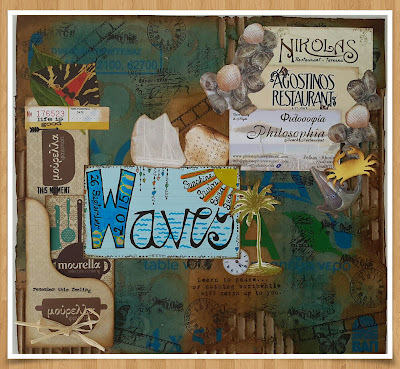 Jane J recently had a holiday on the Island of Rhodes - and she did some crafting whilst there. I think this is such a great idea - a holiday Moment incorporating many happy memories to savour once back home - even the circles were made by using the tops of bottles as tools!! I did giggle a bit, do hop over to Jane's blog to see the photos - she was even crafting on the flight over to her holiday! Carole L has been making a slower than hoped recovery from surgery (we've both been sitting on the bench in the Playground watching you lot have conker fights) so please let's wish her well. And, I picked her card because it summed up how snippets and a couple of shapes can make for a really elegant card. The rose die is a Penny Black one BTW. And here's another lovely pink rose, brought to us by Pat. Such beautiful water colouring and the die cut framework is absolutely lovely. So, that's the weekly picks - always such a difficult job to choose as each and every entry is always a real delight. 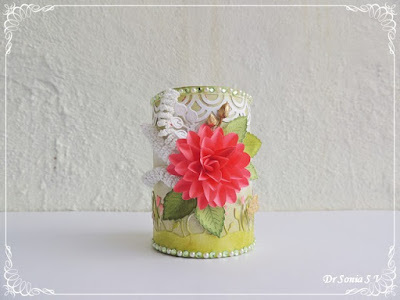 Sonia entered three times, and this pen pot is one of her beautiful makes - a very talented lady! 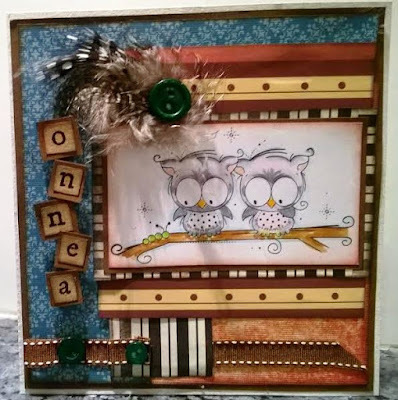 A crafter who added her name as Repolainen brought this fabulous owl card - I do so love how the feathers make such a gorgeous finishing touch! Hope to see you both in the Playground again! And of course it's time for the draw for last week's prize of the Winnie and Walter 'In a Word: Friend Cutaway' die and the Marianne 'Don and Daisy - DDS3324' stamp. I squeaked with sheer delight here as Sarn was really keen to win this prize (most weeks she just plays for fun) and had entered three times. It's absolutely pure coincidence - but a very happy one that her number got drawn! As I've said before, I really do have a Playground toy box here along with a little notebook to keep track - so if you sent a prize and it hasn't appeared yet, rest assured it will! 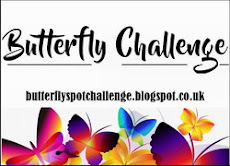 The Snippets Challenge will run for one week and the Playground gates will close at 11am UK time on Saturday 10th October. The gates will open again at midnight UK time on the same day. Maximum of three entries and please say in a comment if you wish to play and be a possible winner of the prize. Do say if you only want one or other part of the prize (one or both dies) but both are up for grabs as one prize of course. And please also link back to the Playground in your blog post to be eligible for the draw. Congrats to winner and my goodness so much talent here, and i totally love that sew machine!!!! Di! 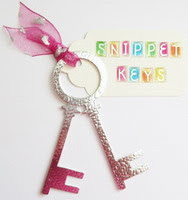 Your creation in pink is looking very delightful and i love that die cut sentiment, how beautifully you placed it on your snippet! Love it! And YES count me in for this awesome prize! Oh my gosh, that sewing machine, and the box card for your favorite picks are incredible!! What talent and imagination is shared here! Your pretty pink card is so cheery and fun, and the prize this week is a definite Yes please!!! Pretty card and a handy tip about trimming the card down once the die cut is in place - thanks. Please include my name in the 'hat' this time, thanks. Fab card and picks today. What a fabulous flower die! I love it in the hot pink, but I'm sure it would look fabulous in any colour. The black sentiment and pearls are just perfect. Gorgeous picks - the sewing machine is just incredible. Congratulations to Sarn on her win. Yippeeee! How wonderful to find out I won the prize. Thanks so much Di & Parsnip & Mr RNG. Your card is very striking and I like it in Melon Mambo Di. Congrats to all the show cased girls. All v impressive & inspiring work. A lovely card and great picks this week too. I would love a chance of winning this week's prize and will be in the playground soon. Wonderful card, Di and fantastic picks today! Yes, please to the prize. Oh I love seeing all of the picks! I am so happy to see my friend Alice's sewing machine on display! Congratulations to all! And to Sarn for the win! Your pink card is lovely - my favourite colour! I like these dies - I'm a definite YES for the prize! Forgot to say... thank you! fabulously pink! just added my butterfly blue creation - playing for fun this week. Also all the other picks are fabulous and love your card! This background die is so useful, I hope to have a little time to play in the challenge. I would like to win it :D Congrats to Sarn for her won!! What a wowzer of a card Di......brilliant! Thank you for incuding me in your picks amongst all that wonderful talent in the playground, and congrats to Sarn on her win.I will be back soon to play but in the meantime I will sit with you on the bench or peek through the railings! 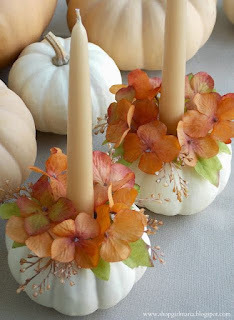 I love how you feature the creations and write such kind words!! The picks are amazing--especially the anniversary box card--wowzer! 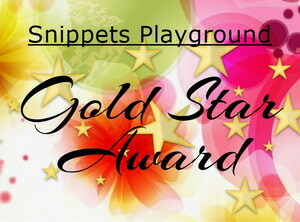 I love your snippets card, Di--striking & beautiful! I'll play for the prizes if I get a card entered. Actually I'm not surprised I'm in at no 13. Yes please stick me in the pot toads an all. Hugs Mrs A.
Lovely makes from this weeks picks and your due cut card looks great in the hot pink. 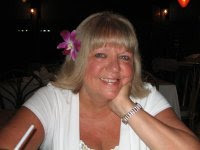 I am soooo pleased that Sarn won last weeks prize - yay!!! Your card is stunning and I love that pop of colour - I have given up showing my cards to hubby as I don't want to hear his constructive criticism!!! LOL!! Wow - fabulous top picks again... what a very talented lot! Just playing for fun this week thanks. 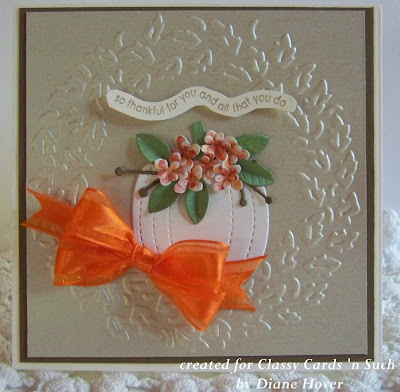 Love your floral frenzy card, Di! I have that die and love it too. Like your little die cut sentiment too. Since I have the coverplate, I don't need to be in the drawing this week. Your card has a serious WOW factor with that hot pink color and all those pretty black pearls! It's SO pretty! Thanks for spotlighting my card among the fabulous notables this week, I'm truly honored! Congrats to Sarn for her win too! Woot! Gorgeous card Miss. Unusually pink for you!!! Right then so who is playing Puddle Jumping? Pink and black is just striking, Di! That is an awesome coverall die, and the sentiment die is so fine and delicate. Beautiful card, and great prizes. I would like to be in the mix to have a chance at them. Every week, I just do not know how you make picks. The work is just so wonderful from all of the entrants. Congrats to the winner, and all of the very special picks. Came with my wellies and a snippet card! 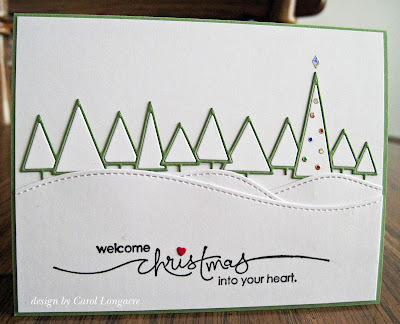 What a lovely card, Di, and an awesome prize that I would LOVE to have. I really enjoy Waffle Flower products. What amazing picks this week. I am so in awe each week!!!! Wow Di. You are getting some beautiful pieces of work entered these days. I love all the picks this week. Your card is very pretty too, even if it is a tad bright! I would love to be entered for your prize this week. Thanks. Your card is so cheerful and uplifting Di! All of your picks are gorgeous and there is obviously a lot of talent out there! I say Yes please to the prize! Thanks so much for the challenges every 2 weeks and for inspiring me to pull out my scraps and craft.